So many spots, so little time! These hand-tufted wood rugs by Gan Rugs feature these delightful dots are made of 100 per cent wool, pampering your feet while providing a fashionable visual facet to the floors of your designer homes. The Championes rug reminds us of smooth stones on a beach, randomly dropped and protruding in their different sizes on a sand-colored background. The irregular edges add to the rug’s organic aesthetic. 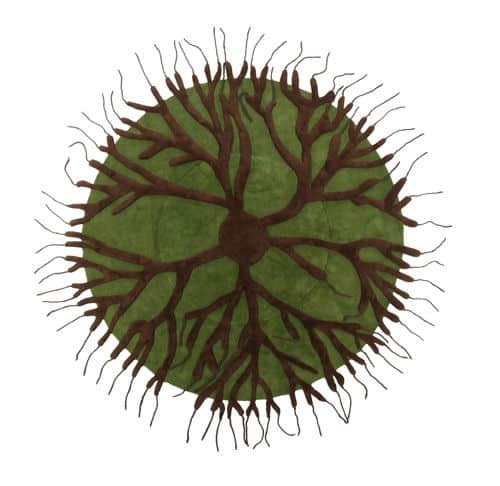 The Championes rug comes in rectangular and round, measuring 170 by 240 cm, 200 by 300 cm and 250 cm diameter. We are sure you’ll be amazed by the unique design ideas of ByHenzel rugs. 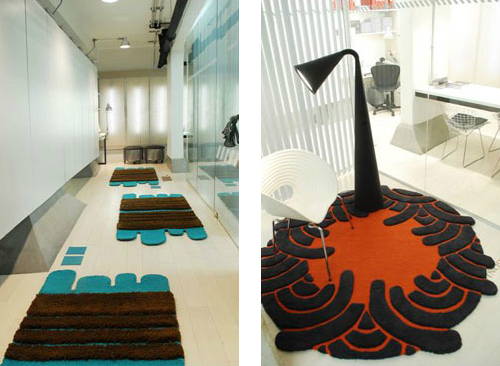 These contemporary, custom made rugs become a striking focal point of any space. They definitely have this bold, artsy-collage, one-of-a-kind feel to them. Made with careful regard to the environment and out of the finest materials available (namely New Zealand Wool and Mulberry Silk) – these rugs ensure quality and safety wrapped in a distinct stylish package to suit the interior design of your beautiful homes. When it comes to unusual and appealing rug design, it’s hard to beat the aesthetic offered by this company. Visit ByHenzel to learn more on home decor products and interior decorating your designer homes. 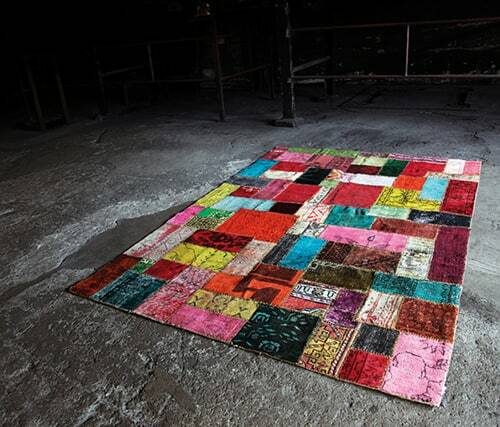 Pamper your feet with these contemporary art rugs from Design Carpets. Argentine interior designer Analia Segal designed these cozy and chic hand-tufted wool rugs in a variety of dimensions, featuring daring shapes and vibrant color palettes, creating art you can walk on or hang up on the wall of your designer homes, just as you would a traditional masterpiece. 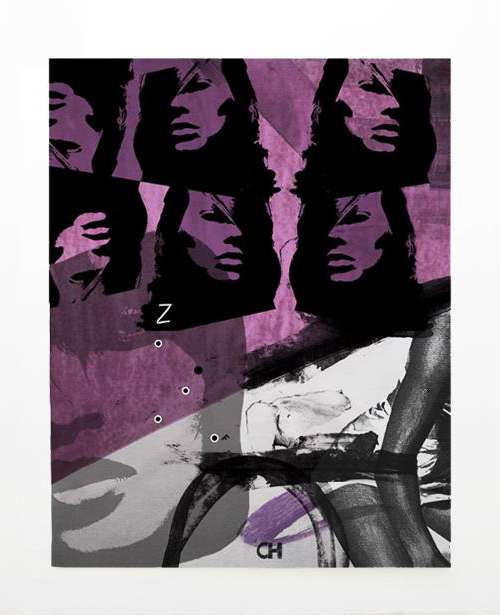 In fact, the contemporary “aleph” rug was picked up by the Buenos Aires Museum of Modern Art! The whole collection is characteristic for its bold, graphic patterns that catch the eye and invite you to touch and appreciate everything about these quality wool rugs. Transforming art into textile, tactile pieces you can actually use, these modern rugs make a confident style statement in the modern home. More information is available by visiting Design Carpets. Bring a little royal British charm from across to the pond to your designer homes with these quirky rugs by UK-based company Stamp Rugs. 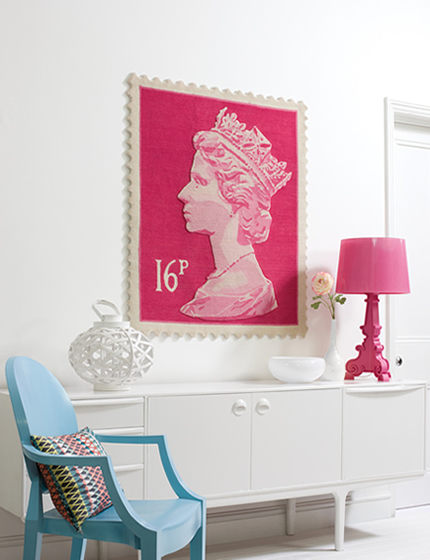 The Postage Stamp Rug collection features Her Majesty’s head embossed in 100-per-cent New Zealand wool, hand-woven in the Kathmandu valley of Nepal. Right down to the detail, these rugs boast authentic scalloped borders that echo the perforations you’ll find on the edges of real stamps. Available in a range of colors and sizes from 57-by-47-inch to 118-by-91-inch, and in custom made-to-order proportions as well, these rugs are a unique addition to any sized room and even suits the interior design of your beautiful homes. Cozy underfoot or hanging on the wall as a regal art piece, we love this fun must-have for the home. Check out the Postage Stamp Rug collection online at Stamp Rugs. 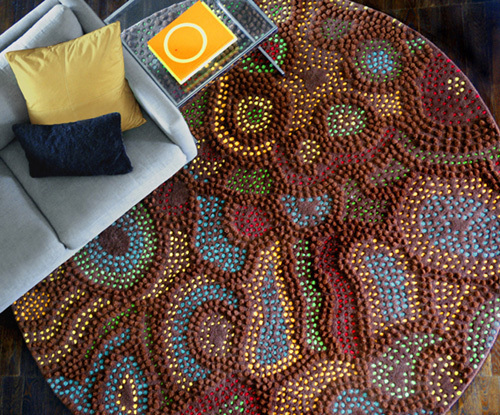 Malene B has created these unique Australian Aboriginal rugs with an appealing global style – and we really like her Papunya rug design ideas. Marlene B is inspired by her numerous travel experiences and her own African-Caribbean roots. The Papunya rugs we are admiring here are directly inspired by Indigenous Australian Aboriginal “Dot” Art and tells folkloric stories of tribal rituals. The rugs are colorful and modern to fit in the interior design of your designer homes, boasting an exotic and ethnic flair. They are sure to enhance the interior scheme of your beautiful homes. All the rug designs are available in custom color, size and constructions. Malene B is passionate about her craft and takes pride in creating and producing her art in a socially conscious manner. Check out Malene B to learn more about house design, interior decoration and home decor products. Interior designer Kyle Bunting makes extraordinary custom cowhide rugs. His passion for the medium is clearly depicted when you look at his work, which shows off creative design ideas and obvious quality craftsmanship. 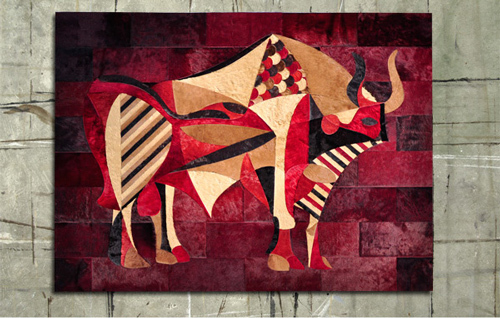 We are especially smitten with the bull and butterfly patterned rugs. His collections are imaginative, colorful and expressive and suits the interior design of your designer homes. And if you don’t find something to suit your space perfectly, surely browsing his products will inspire some ideas for a custom one. A cowhide custom rug is a sure way to instantly and powerfully enhance any interior scheme. Kyle Bunting is also known for beautiful wall coverings, furniture panels and upholstery for interior decor and architectural applications. Visit Kyle Bunting and browse through the website – you will be captivated and find few innovative ideas for interior decoration. 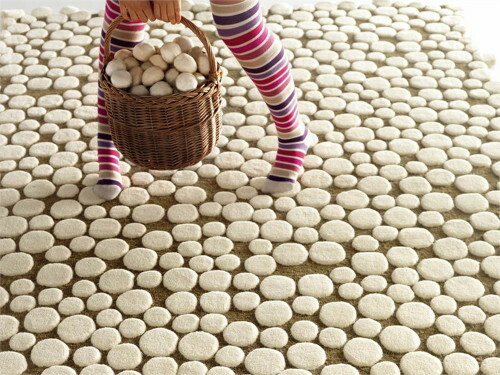 3D rugs and carpets, what an idea for your designer homes! These 3D breadth rugs accompany a fresh ambit to attic coverings. 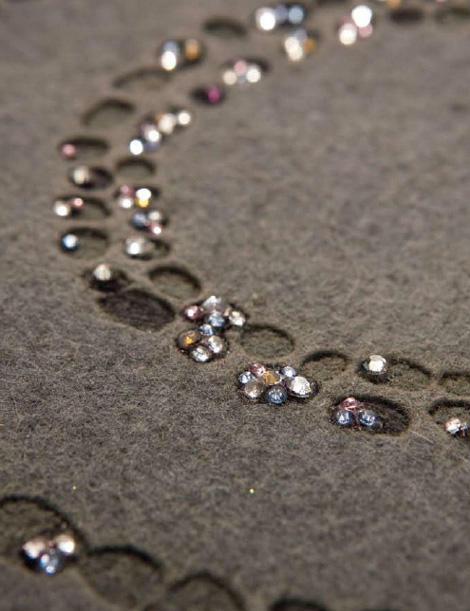 The Terra carpeting by Stepevi has a luxurious, blubbery pile, which allows it to be shaped with grooves and valleys. “Valleys” is a advised term, shaped so abysmal that you can acknowledge it from beyond the room. As the aggregation says, “the apple is not flat, why should a rug be!” The blush choices ambit from ablaze to aphotic grey, amethyst and ocean-inspired azure – anniversary earthy, and accurate to the Terra concept. 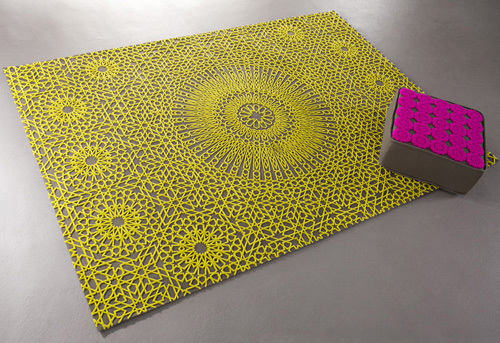 These 3D rugs are fabricated of 75 percent polyester and 25 percent wool. More details are available at Stepevi. These active breadth rugs by German aggregation Attic To Heaven accept absolutely put us on billow 9! Featuring ablaze colors that are akin alone by their clear patterns, the fresh Ornamental breadth rug accumulating boasts hand-made capacity that accomplish anniversary a assignment of art. Beyond aloof their looks, these attic coverings are different for their textures too, alms a 3D another to conventional, anticipated carpets. Splash up your indoors, or booty the trend alfresco and transform your accouter or courtyard into a accurate alfresco hotspot. These active rugs appear in a array of shapes and sizes, and of course, styles – there’s one suited to every personality & their home decor. More details are available online at Floor To Heaven. Turn your adornment on its head, so to speak, and accomplish the prime focus the attic with these adventurous blush rugs by GanRugs. The Kilim accumulating by artist Sandra Figuerola is rugs with an aesthetic edge, anniversary boasting its own characteristic looks like the Arabesco and Catania designs, with their active red blush and absurd finishing capacity at either end; and the Siracusa and Palermo rugs, featuring a check of different-sized squares, patterns and colors. Made from 100% absolute fibers, these rugs angle out as abundant for their affection as they do for their adventurous color. And, they are capricious too, abacus to not aloof their versatility but to their activity amount as well. Colorful rugs that suit your designer home. For more information, visit GanRugs. Although fresh on the home adornment scene, Miinu is already authoritative its mark with the ablaze multi black rugs of its admission alternation – the Industrial Collection. Each a masterpiece of acceptable Turkish craftsmanship, these avant-garde rugs affection a check of acclimated carpets, at atomic 50 years old and some threadbare, artfully stitched calm to anatomy active fresh designs and accord fresh activity to article old. These consciousness-expanding motifs accept an age-old appearance with an eclectic, “collected” or antique-style aesthetic. The “Union Jack” and “All Nations” mix it up, while the others avowal a monochromatic palette of altered shades, tones and patterns with names like “Blazing Orange,” “Green Flash” and “Hot Pink.” These ablaze rugs are “hot” indeed! More info is available at Miinu. Add appearance to your allowance with three dimensional rugs from Top Floor, including the lace-like Ethereal. Designed by Esti Barnes who owns the award-winning Top Floor in London’s Chelsea Harbour Design Centre, the rugs are about works of art. Of advance they’re adequate base but it’s their characteristic decoupage effects, the avant-garde designs and the sculptured, aloft patterns aural the weave, that makes them angle out centre stage. They’re ideal for any active breadth of the home or as a affluence accession to the bedroom, and because they are sized to order, you can get pleasure their amore and appearance no amount how big or baby your space. Hand bristling in accustomed abstracts including absolute and silk. Ethereal is accessible in any blush or size. For more information visit Top Floor. Casual, adequate and contemporary, the Mangas band of duke crafted absolute rugs and absolute poufs by Gandia Blasco (GAN) is an capital for winter-time cocooning, abacus burning comfortable to any home. Inspired by acceptable affiliate motifs, it’s like bathrobe your apartment in your admired bandage and mittens. 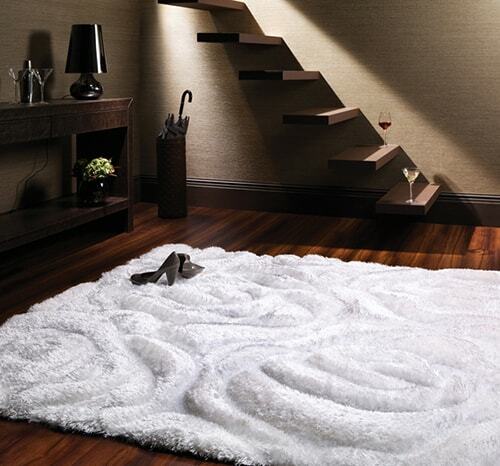 The hand-tufted, hand-knotted absolute rugs baby your feet. Laid out in advanced of a crackling fireplace, the appearance is actual apres-ski chic. The blush palette of bendable greys, pastels and balmy browns adds to the softness. Coordinate the attending with these analogous poufs, alms added lounging and basement spots in the den, TV allowance or active area. The aberrant shapes add to the artisan, hand-crafted feel. Check out the Mangas collection by visiting Gandia Blasco. These aesthetic rugs from Swiss carpeting aggregation Ruckstuhl are masterpieces you can airing on! The Night Sky rug by artist Deborah Moss measures aloof 152cm in bore – by far the aboriginal run in the accumulating – but this adorableness manages to backpack lots of bite in that baby space. 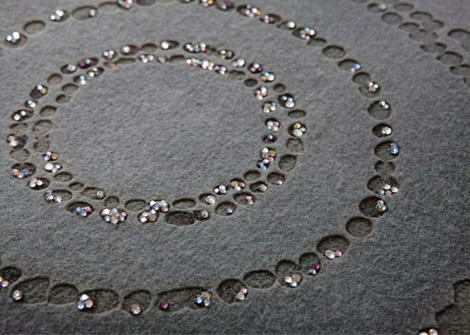 Adorned with hand-sewn black crystals add action to the absolute acquainted rug, bendable both in blush and texture.